I’ve had this bottle for a couple years, and had not had any for quite some time, so I decided to go back and give it another try. I had it neat, and it pours a light golden straw color. The pour is thin, with no ring left around the glass. On the nose, you immediately get brine and peat, along with a bit of caramel and tea. The initial taste has a surprising strong alcohol burn. I was actually shocked by it. Then you pick up the smokiness and peat, with an interesting sweetness that I did not recall. There are also some licorice and tea flavors, but they are muted. The aftertaste immediately leaves a bit of bittnerness in your mouth, but after a few minutes there is a lingering taste of meat and some leather. I have some mixed feelings on this one. While good, there are some off-putting notes (the immediate bitterness and the alcohol burn), but for a smoky Islay, it serves its purpose. This is a whisky I will be going back to, if only to be able to better describe it. Thanks for the review. Interesting that you compare it to Laphroaig. I’ve always found Caol Ila to be more of a toned-down Talisker, but that’s just me. Both have a pepperiness, and a vegetal note I find quite pleasant. I think you and I scored this one similarly. I think I’ve scored it 84-86, depending on the batch. 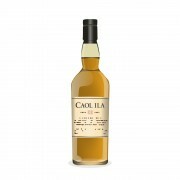 Now Caol Ila 17 YO Unpeated Cask Strength? That’s a whole ‘nother story. That’s fantastic stuff! @OdysseusUnbound I haven’t had that one. I find both Talisker and Lagavulin to be more “elegant” than Laphroaig or Ardbeg, which are a punch in the face as far as Islays are concerned. The various expressions of Talisker and Lagavulin are nicely rounded without the toughness of the other Islays. 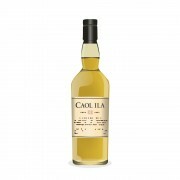 Caol Ila to me doesn’t have that soft edge, which is why I compared it to Laphroaig. @mhock66 I’ve had the CI 12, distillery edition, and I have a bottle of the 18. It’s pretty mellow if that’s what you’re looking for. @OdysseusUnbound Wait till we put the 15, 17 and 18 unpeated CS head to head!